364 pages | 6 B/W Illus. 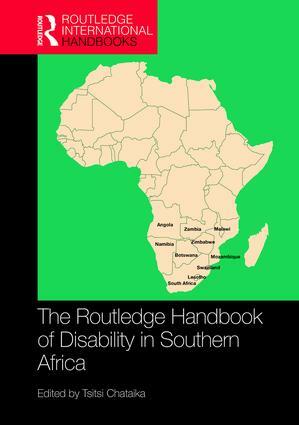 Tsitsi Chataika is the editor of this handbook and also a senior lecturer in inclusive education in the Department of Educational Foundations, University of Zimbabwe. She is an ardent supporter of disability rights. Chataika’s research interests allow her to understand how disability intersects with education, gender, religion, childhood studies, poverty, policy, development and postcolonial theory. Her goal is to promote inclusive sustainable development, hence influencing policy and practice. She conducts disability awareness and mainstreaming workshops in various African countries. Chataika has presented at various national and international platforms and she has also published widely in her areas of research interests.